Asalaamualaikum Dear Parents and Teachers! On behalf of the IQA PTO Committee, welcome to the 2017-2018 school year at IQA. We are excited to see both old faces and new and are looking forward to a wonderful and productive year, insha’Allah. Included in this packet you will find some information about your PTO. This past year was a busy one for the PTO. We assisted in numerous events throughout the year, including the History Fair, Science Fair, Arabic night etc. In addition, we hosted three major events – an Academic Forum, the IQA Carnival, and Teacher Appreciation Week. For the first time, PTO also supported hot lunch program. With the funds we raised through these events, we were able to gift numerous much needed items to the school. These include projectors installed in all classrooms, Ipads, and TI Calculators. With your help and support we can do even better this year and give back more to our school and students. Please make sure and you complete membership form and pay the $10 dues today! 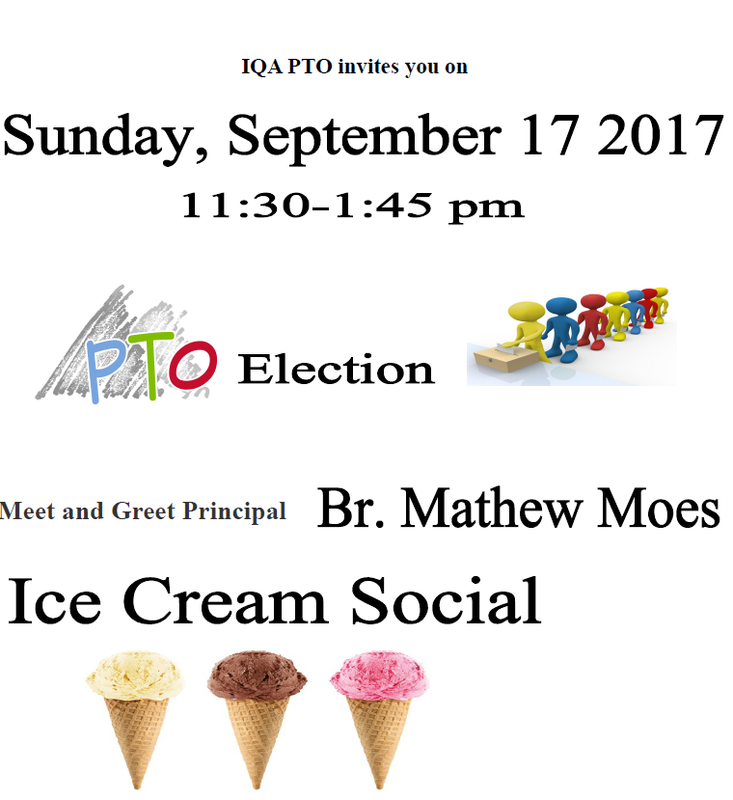 You can download a membership form, fill it, save it and email to pto@myiqa.org or drop off the printed copy at the IQA office. You can also fill the form online.